Whether you’re travelling this weekend or just right before the long holiday break, know that the Department of Transportation (DOTr) has your safety, security, reliability, and comfort on top of mind. 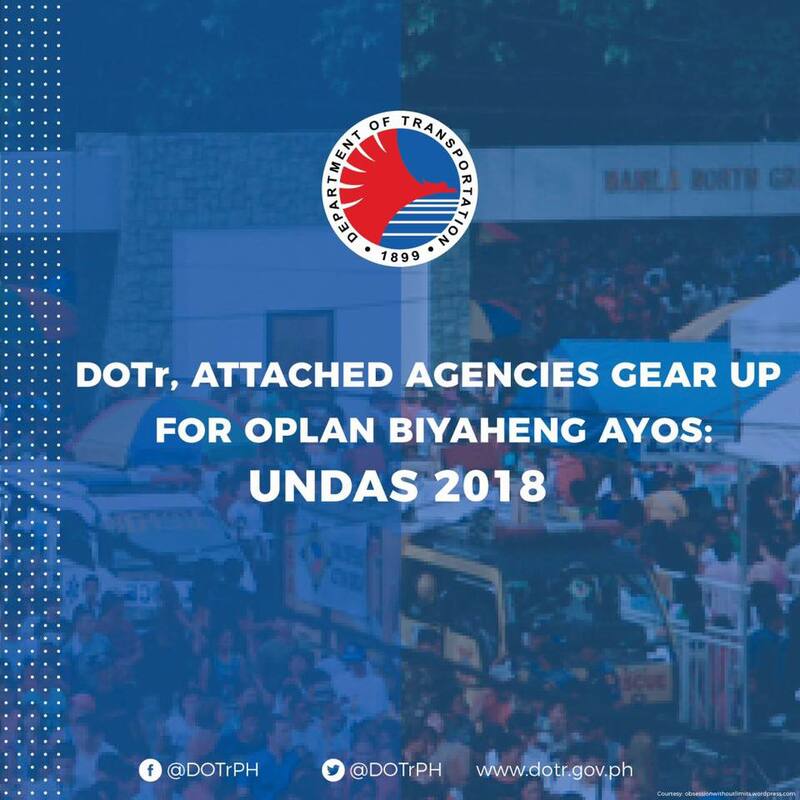 The DOTr and its attached agencies have announced the launch of ‘Oplan Biyahen Ayos: Undas 2018’ that covers all travelers from October 27 until November 5, 2018. “Sa mga panahong ganito, malaking bagay na maaga ang paghahanda at maayos ang komunikasyon at koordinasyon. Our paramount priority is the safety and comfort of our passengers [During these times, it is best to prepare early and have proper communication and coordination],” Sec. Tugade said. Frontline agencies of the DOTr like passenger booths and counters have been instructed to implemented 24/7 operations to reduce or even prevent long queues. Various agencies are tasked to keep communication lines open and provide the public with real-time updates on accidents, rerouting and emergencies. Public advisories on safety and security regulations on expressways and highways, airports, seaports and various terminals will be issued while emergency contact details and hotline numbers will also be properly displayed in high-traffic areas.